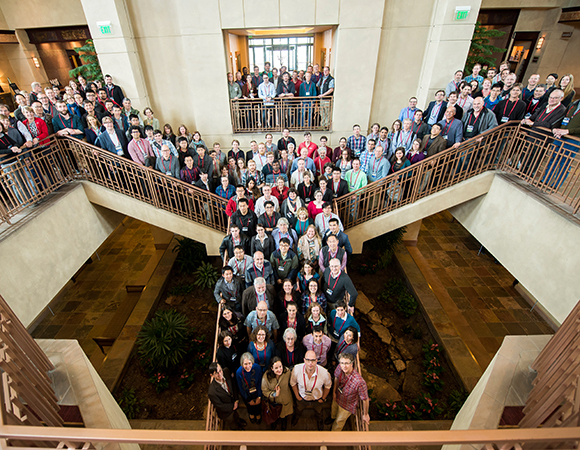 The theme of the 2016 UNAVCO Science Workshop, Geosphere Science – Positioning UNAVCO, Advancing Geodesy, brought together over 200 community members in Broomfield, Colorado, 29-31 March 2016. Geodesy is fueling discoveries in increasingly diverse disciplines ranging across all areas of Earth system sciences. 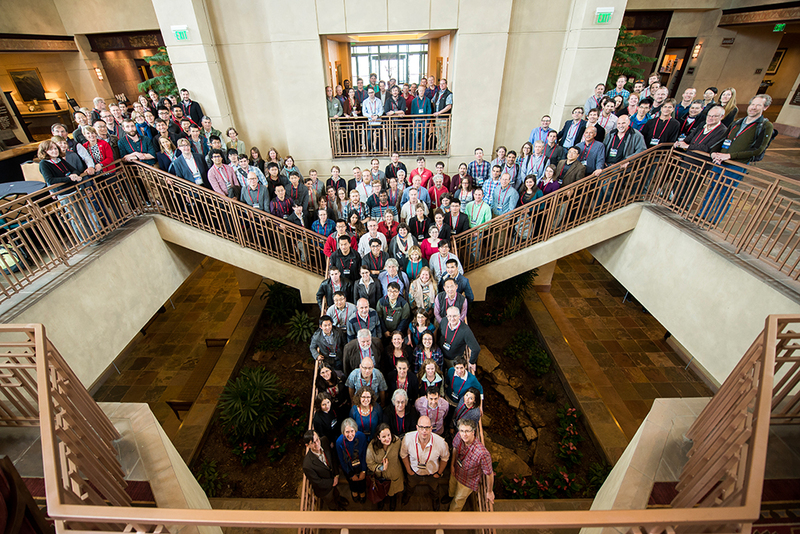 Participants in the bi-annual UNAVCO Science Workshop explored how geodesy is enabling researchers to quantify processes that connect these spheres and tackle grand challenges in earth science. 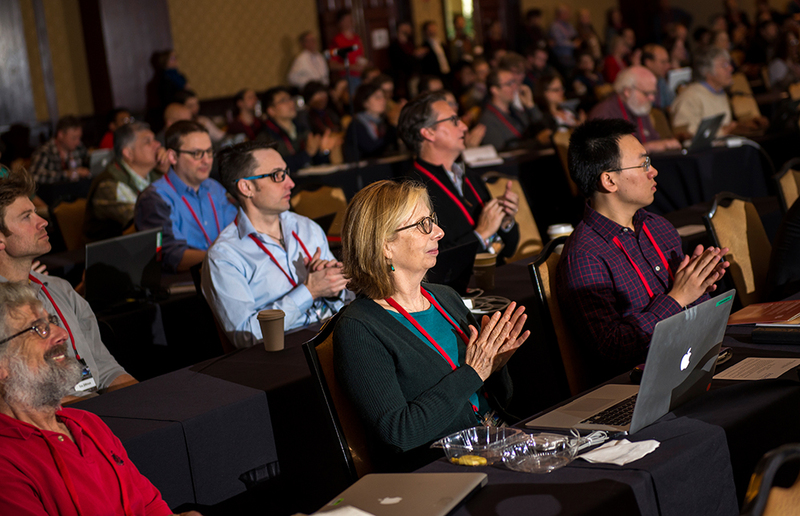 The two-and-a-half day workshop included plenary sessions, special topics sessions, poster and interactive displays, short courses, field trips, Ignite presentations, and an invited keynote speaker. Over 200 participants attended, including 40 students with travel supported by the GAGE Facility. 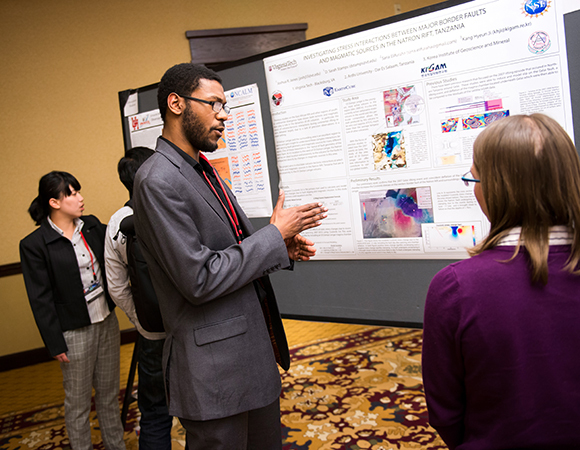 Five plenary sessions featured invited presentations on geodetic science as applied to studying the cryosphere, lithosphere, hydrosphere, ionosphere, and atmosphere. 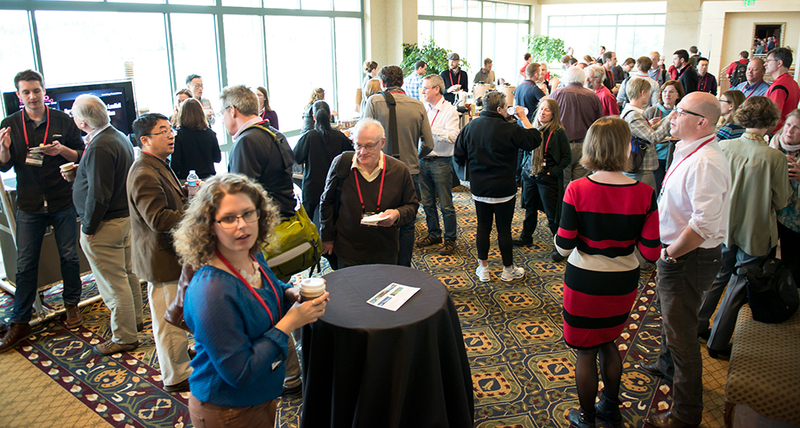 Nine breakout Special Topic Sessions (STS) were convened by community and staff. The goal of each STS was to further planning for foundational and frontier science that relies on geodesy. Input was sought to guide the GAGE Facility in prioritizing resources to support science directions over the coming months and years under the current award as well as inform longer-term planning within and across subdisciplines of the geosciences. Mini Special Topic Sessions (informal lunch-table meetings) with like-minded attendees were organized to carry out discussions without a pre-planned agenda. They facilitated new introductions within the community and were an opportunity to gather people together who have similar interests or who have been working remotely together on a project. Mini-STS were convened on Societal impacts & natural hazards, Open data, Data attribution, Dataworks for GNSS, Communicating science to policy makers, and InSAR - Standard data products and educational/virtual lab materials for short courses. 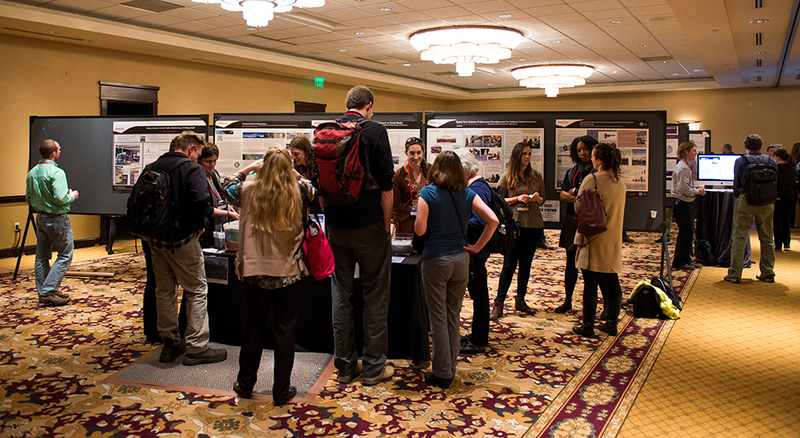 A formal poster viewing area included 76 posters in the science themes as well as related posters focused on education, outreach, communications, policy, and geodesy workforce development. Dr. Maria Zuber of the Massachusetts Institute of Technology delivered the keynote presentation on Adventures in Planetary Gravity. 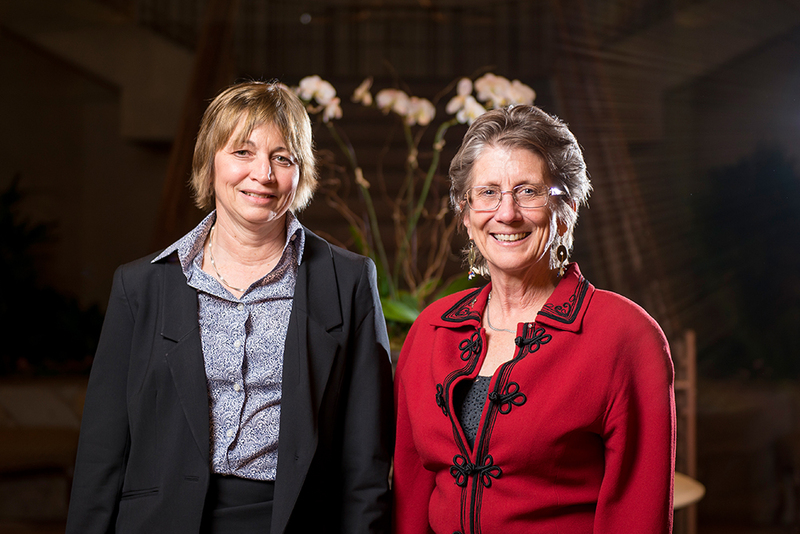 Dr. Zuber’s research bridges planetary geophysics and the technology of space-based laser and radio systems. She spoke on her long history in working with and leading NASA science missions and emphasized the importance of being able to communicate your science to both scientists and non-scientists. Three short courses were offered in conjunction with the workshop. 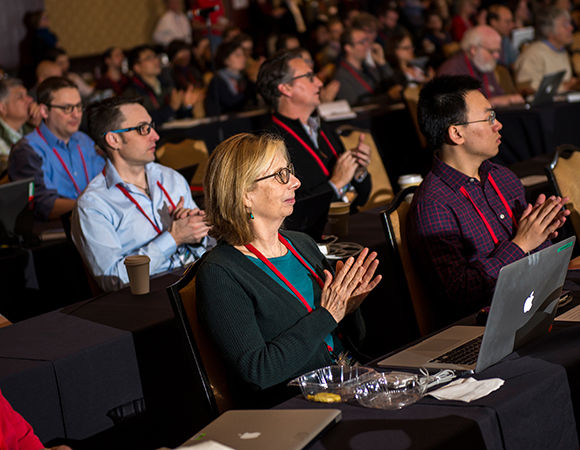 In the Strainmeter Short Course, participants learned how strainmeters work, studied examples where the data were used to model strain transients, and learned basic processing steps and how to access the strainmeter data. 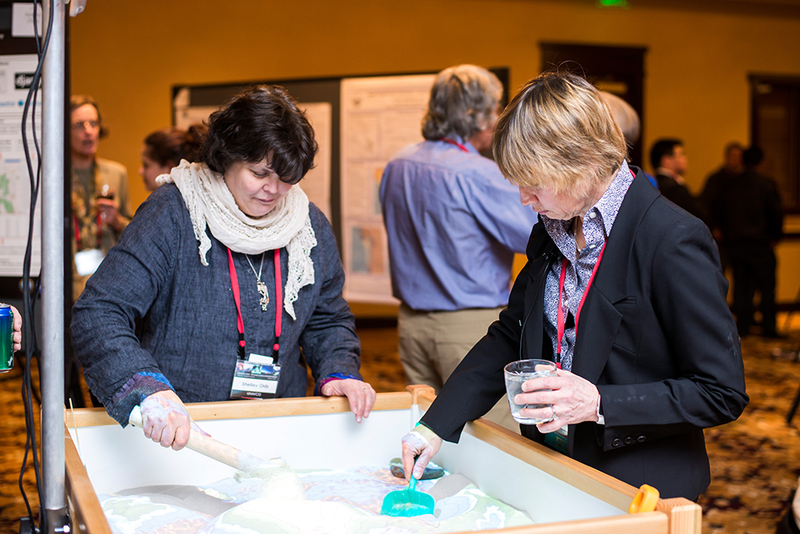 The Geodesy Tools for Societal Issues (GETSI) Short Course introduced teaching resources that feature geodetic datasets as applied to issues of critical societal importance. 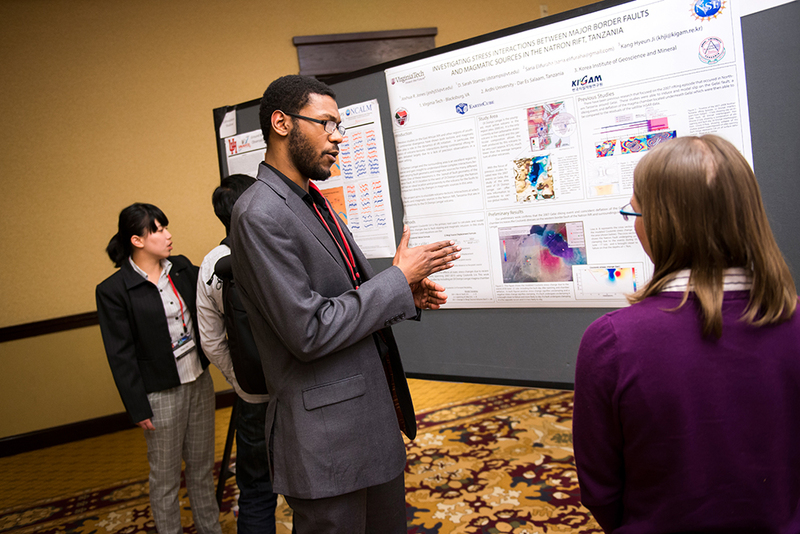 GETSI is a collaborative NSF-funded project led by UNAVCO in conjunction with UNAVCO community members that is working to rectify this gap in undergraduate learning materials by developing high-quality, geodetic data-rich modules for both introductory and majors-level courses. The short course on Open Source ALS and MSL Processing Tools provided a detailed overview of the open source tools and workflow to process raw LiDAR observations and perform advanced analysis without the requirements for high-cost, hardware-specific software packages. 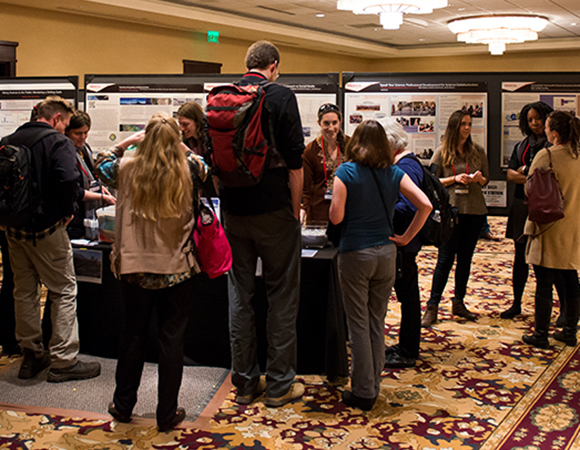 The EnGAGE Interactive Space showcased hands-on learning demonstrations, new geodetic instruments, and community and UNAVCO web tools concurrent with the poster sessions throughout the week. 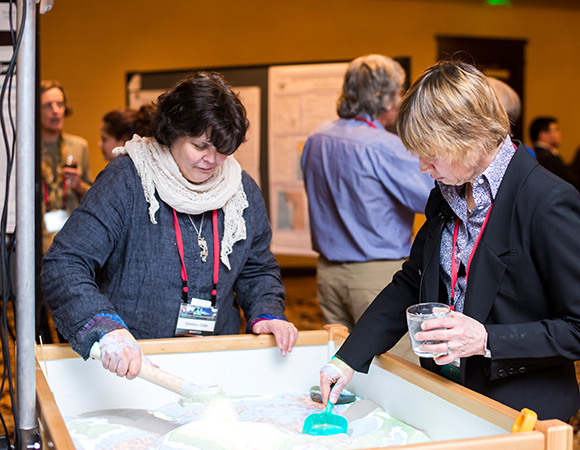 Opportunities were available for participants to explore the new Septentrio GNSS PolaRx5 receiver, topography in a virtual reality sandbox, visualization of glacial isostacy using "flubber," and demonstrations of terrestrial radar and the newest terrestrial laser scanner (TLS) to join the UNAVCO TLS pool. The traditional UNAVCO Ignite session was sponsored by Septentrio and took place Tuesday evening. The theme for the session this year was the Future of Geodesy with early career investigators invited to talk about where they see emergent areas of geodetic science. 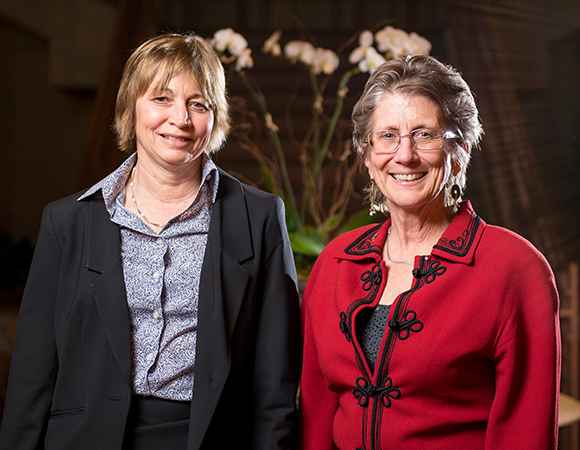 The Expanding Networks through Mentoring (E-NET) program formally connected graduate students and early career professionals with established members of the UNAVCO Community. 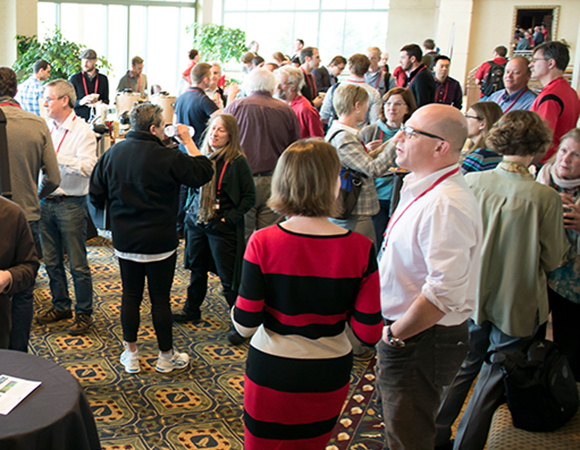 Mentors and mentees met at the opening reception Monday evening for introductions and brief discussions of students' personal goals for the workshop, and then connected again throughout the week. Thirteen community members mentored 29 students during the workshop. Two optional field trips were offered to participants. Dr. Lon Abbott of the University of Colorado led a field trip to the natural Red Rocks amphitheater, a colorful road-cut for a walk through time, and to Dinosaur Ridge to explore one of the world's most famous dinosaur fossil localities. Discussions focused on the geology of the area including past environments, tectonic processes, and modern-day motion—or lack thereof. Staff member Joe Pettit led a tour of the UNAVCO Boulder office. Key highlights included a brief history of UNAVCO, the engineering, equipment, and data archive facilities, and supporting infrastructure. For more photos of the UNAVCO Science Workshop, check out UNAVCO on SmugMug.